Rummaging through my dad’s old record collection, I was pleasantly surprised to find an original pressing of Neil Young’s Harvest, which had quickly become one of my favorite albums. Each track is an amazing look into an original idea, or else an original look into a popular idea. Young, with his lyrics as deeply personal as ever, still finds a way to relate to whatever disaffected teenage ears he happens to reach. The first track is a tune called Out On the Weekend, which greets listeners with a warm, relaxing acoustic sound – the drums pushing things along at a gentle pace while the guitar plays just two chords that have never sounded better – all over the sound of a man who’s just started playing harmonica and finds the simplicity endearing, while still trying to turn out an unrelated, but nonetheless beautiful melody. The first time you hear Young sing is like nothing you could ever experience. With Young’s “love it or hate it” kind of voice, the people who enjoy it will find the tone oddly satisfying and aesthetically pleasing, noting the haunting warble making the lyrics seem all the more sincere. The song is loosely about someone who’s trying to start over after being lost for some time, like a young person at some kind of crossroads. It’s a little difficult to tell who the song is about, since it switches from first to third person, but the most important lines end up being loaded with information that leaves that question without much purpose, those being, “Think I’ll pack it in and buy a pickup, take it down to L.A./ Find a place to call my own and try to fix up, start a brand new day,” and, “See the lonely boy out on the weekend, tryin’ to make it pay/Can’t relate to joy, he tries to speak and, can’t begin to say.” It’s the first song Young plays in a special that a lot of people don’t know about called Neil Young Sings Neil Young, and it aired on BBC in 1971, technically predating Harvest. He has lyrics taped to his guitar and everything, so you can tell he only just worked these songs out. At one point, Neil forgets the words, and instead sings “ooo” for a bit, and you could tell that even if everyone knew he forgot the words, they would still be completely captivated. Next is the title track, Harvest. 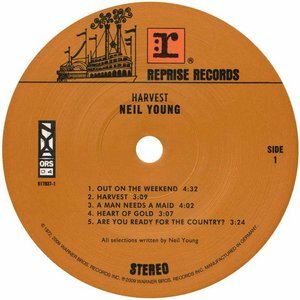 Harvest is a bit more country than folk, but isn’t too far gone from the classic Neil Young style, although with his work in the 80’s, it’s hard to tell what that even means anymore. It’s unclear what the song is about from the lyrics, but it seems to be about someone who is trying to get a girl who is in the middle of a lot of problems, and he’s having a difficult time of it. 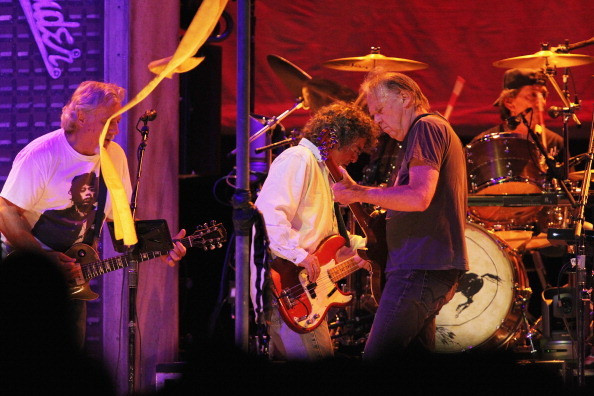 The great thing about artists like Neil Young is that no matter who you are, you can listen to a lot of his songs and you can find your own meaning in them. Maybe not a song as blunt as, say, Let’s Impeach the President, but as far as Neil is concerned, it’s not about what the song means, it’s about what the song means to you. The third track features a string section, and it’s a song that will make you sad, even though there’s nothing inherently sad about it. It’s actually a bit of a sweet story, if you know the background. A Man Needs a Maid is piano- based song that has a very dark feel to it, as it talks a lot about changes, while a very moody minor progression accompanies the implied grimace of the unneeded strain in the higher notes. The most relatable line describes a true story about a time Neil and a friend watched a movie. The line says, “I fell in love with the actress/She was playing a part that I could understand.” We’ve all been there, but the movie turned out to be Diary of a Mad Housewife, and the actress was Carrie Snodgress, whose performance earned her an Oscar nomination, as well as a few years of marriage to Neil Young. The next track is the classic Heart of Gold. What is it that intrigues people so much about this song? Maybe it’s the interesting rhythms that Young finds with his harmonica, as well as one of the most unforgettable melodies ever blown into one. Maybe it’s the mystery as to what a heart of gold really is, and why he’s searching for it. 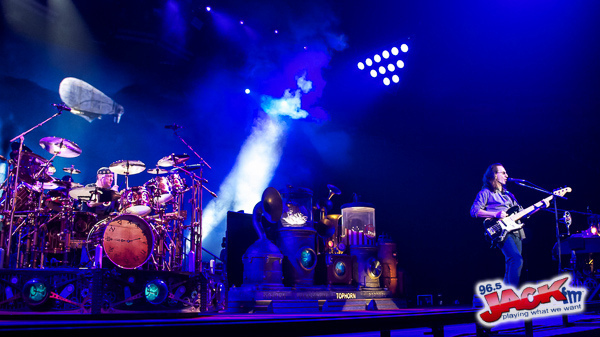 Maybe it’s his voice, that drives the song forward rather than floating on top of the instruments. Either way, many major publications site it as one of the greatest rock songs of all time, despite being less intricately crafted as Rockin’ in the Free World, or Cortez the Killer. Still, it’s a concert staple, fan favorite, and shining beacon of true artistry. The final track on side one is Young’s go at real country music, appropriately titled, Are You Ready for the Country? It starts with the sound of someone amusing some people by playing a piano chord over and over again, presumably having messed up an intro of some sort, but shortly after, the bass kicks in and the slide guitar starts shredding, and the blooper becomes a straightforward stomper of a song. While certainly no country singer, Young manages to paint a picture of a town in the country with a few characters that show the different sides to the place, with lines like, “I was talking to the preacher, said God was on my side/I ran into the hangman, he said, ‘It’s time to die.’” With Young’s voice at the forefront of this song, it really stands out from the rest of the first side. Side two contains a few more recognizable songs, including my favorite Neil Young song, Old Man, which opens the second side. Old Man starts with a D chord played at the fifth fret of his acoustic guitar, but he makes the jump from open string to fifth fret on the lower string of the chord, which is something I’ve never heard before and haven’t since. It’s a fascinating little riff that ushers in the line, “Old man, look at my life/I’m a lot like you were.” It then kicks into a We Will Rock You beat of sorts, except with James Taylor playing the banjo, which is kind of awesome. The song is about realizing the passage of time and the effect that it can have on a person, by comparing oneself to the old man that Young talks about. The old man was actually the caretaker on the ranch that Young bought with the money he made from his previous records, and not his father, who found this out in a famously awkward conversation. The melody finds its heart from what can only be described as Young’s gut-wrenchingly beautiful tone and emotion, making Old Man a classic that holds up incredibly well. The next song relies entirely on a string section, rather than having the string section accompany a melody Young has already written. It’s about taking advantage of the world around you and living your life. Young describes some scenery as almost a list of sorts to describe how beautiful the world that you can help to make the most of. The first real sort of rock song is one that helped fuel a bit of a feud between Young and Lynyrd Skynyrd. Alabama was a song that damned the state for being backwards and behind the times, using the metaphor, “Your Cadillac has got a wheel in a ditch, and a wheel on the track.” This song, and a song from After the Gold Rush called Southern Man prompted the writing of a song called Sweet Home Alabama, which was not what you’d consider subtle in its defense of the state, saying in one verse, “Well I heard Mr. Young sing about her/Well I heard old Neil put her down/Well I hope Neil Young will remember/Southern Men don’t need him around, anyhow.” Far from playful, Young takes a very dark any cynical look at Alabama, yet expresses hope that one day they can change their ways. 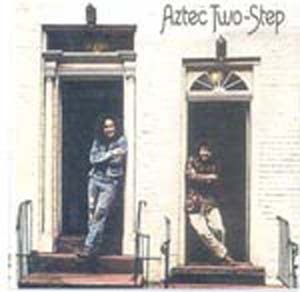 The second to last song on the album was recorded live about a year before its release. The Needle and the Damage Done was written about the deaths of Crazy Horse’s guitarist and one of their roadies from heroin overdoses. One of the least-cited reasons for Neil Young being one of the world’s greatest guitarists, this beautiful and tragic tune is one of Young’s most memorable melodies. Barely two minutes long, the story is undeniably miserable and haunting, though its fascinating structure floats through the air like death itself. Often cited as one of Young’s greatest achievements, the song is a tender, yet harsh dose of the reality of drug abuse, and is one of Young’s more simply and brutally honest tunes. The final song on the album is called Words (Between the Lines of Age). It feels like it has a story, but it’s more poetic than cinematic. There are several unrelated ideas that all seem to have some kind of hidden meaning. One line talks of watching people trying to plant something, while Young says he’s “Sitting here hopin’ this water will boil.” The term “lines of age” supposedly refers to wrinkles on one’s face, and the words are those that are spoken in different eras of one’s life. An amazing and confusing idea is presented in the last verse, asking, “If I was a junkman, selling you cars/Washing your windows and shining your stars/Thinking your mind was my own in a dream/What would you wonder, and how would it seem?” The song also contains Young’s most scattered and epic guitar solo since Everybody Knows This is Nowhere’s famous track Cowgirl in the Sand. There’s no denying that Harvest is a folk rock masterpiece by a songwriting legend, and the haunting melody of The Needle and the Damage Done or the folksy drive of Out On the Weekend will echo through the halls of popular culture for all time. You never forget your first Rush!